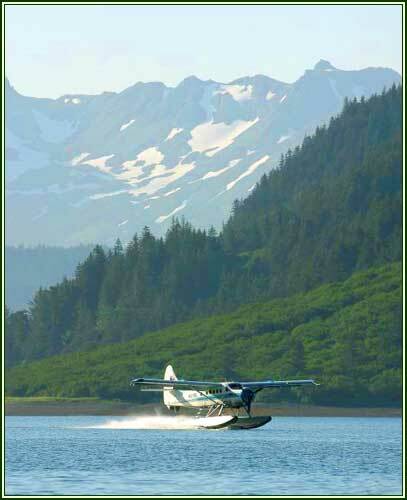 Alaska's Sadie Cove Wilderness Lodge has teamed up with the best of the best - professional, licensed fishermen, wilderness guides, pilots, and boat captains who are natives of Kachemak Bay or have worked and lived here for many years. Individually each of us has over 20 years experience in Alaska's bush, together we are a powerful team of North Country experts catering to your individual needs. You will benefit greatly from our local insight, our understanding of natural history, and our contacts with local people. We can reveal to you hidden wonders in our area which most visitors sadly miss. At Sadie Cove you set the pace for your Alaska vacation. The options shown here are exactly that - options for you to pick at your discretion. You choose what you wish to do and, within certain practical limits, when you wish to do it. 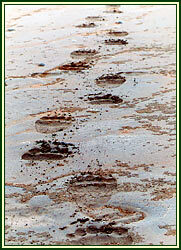 All tours may and, to ensure your participation, should be booked as far in advance as possible. Keith and Randi are glad to discuss your plans and expectations in advance of your stay to custom tailor your vacation. 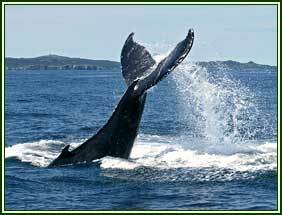 You may wish to focus on local wildlife, making our kayaking and guided hikes your options. 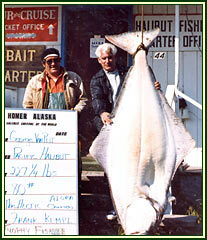 Or fishing for local species of salmon and halibut may be your style. Perhaps the adventure of flightseeing and brown bear viewing suits you. Any or all of these adventures of the mind, body , and spirit are yours for the choosing. Contact us with your questions and we will help you make informed decisions for your stay with us. 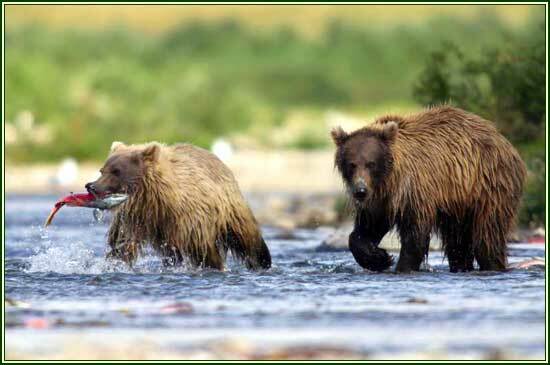 Fly out from the Lodge on your own private aircraft for Brown Bear viewing, Salmon fishing, Glacier or Volcano viewing - Quotes available 2 person minimum. Small group, personalized, guided Sea Kayaking and wildlife viewing - Lunch included at a private picnic spot, no experience needed. 2 person minimum 16 person maximum. 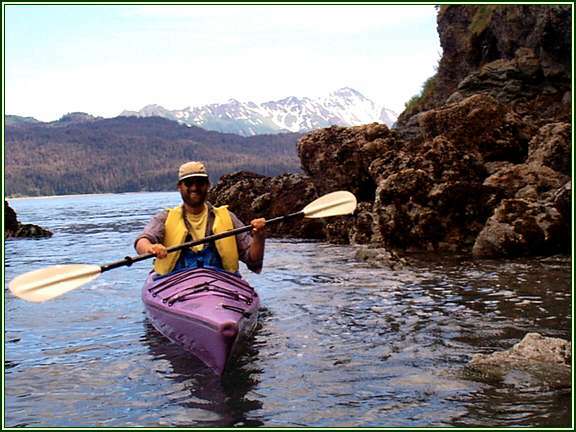 Private Sea Kayaking and wildlife viewing - Kayak in remote areas of Kachemak Bay spotting wildlife, local plant life, and sea creatures at the low tides. No more than 6 participants and, more often than not, there will be just your own group of 2 or 4. Lunch included at a private picnic spot, no experience needed. 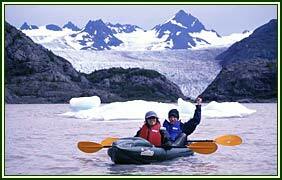 Private sea kayaking expedition. Spend 2 days and one night at Sadie Cove Wilderness Lodge. Two days of expedition kayaking to a remote, backcountry cabin, yurt, or campsite. This is a full-service, first class expedition including all meals, gear, and guides. 2 person minimum, 6 person maximum. 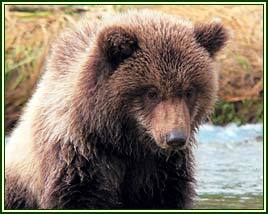 Bear Viewing - Fly by private floatplane and land across Cook Inlet for a day with the Brown Bears. This is a once in a lifetime trip and well worth the price. 2 person minimum. 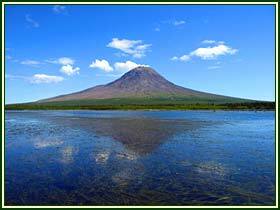 Fly-Out Volcano tour - Fly to a volcanic island across Cook Inlet, land and spend the day exploring this remote, unpopulated, and strinkingly beautiful place. Your guide will explain the geology and history of the island, you will fly around the crater rim for a look inside the volcanic cone, and on the way there and back you will have a good chance of seeing several species of whales and other sea life from the air. 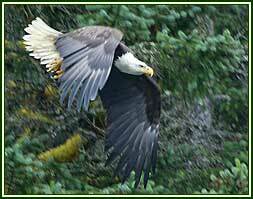 Private Wildlife Photography Tour - Spend the day boating and/or hiking on Kachemak Bay photographing everything from sea otters to black bears to bald eagles raising their young. This tour is personalized to your photographic needs and desires. 2 person minimum, 6 person maximum. Fly by private floatplane to a glacial lake where you will spend the day kayaking amongst the icebergs with your Alaskan guide. Touch 1,000 year-old ice and feel the majesty of one of the great forces of nature carving new valleys, bays, and fjords over the centuries of time. Return to the lodge at the end of the day in time for dinner, stories, and a hot sauna. 2 person minimum, 8 person maximum. 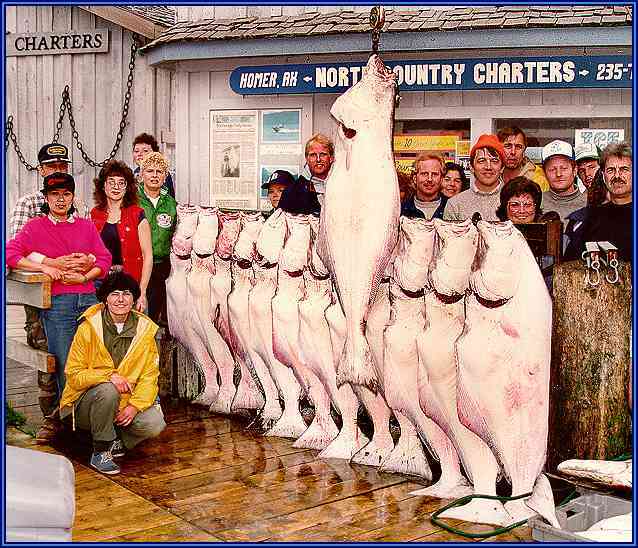 Explore the native Alaskan village of Seldovia with it's fishing fleet, harbor, quaint shops, backroads, and coastal trails. River rafting - Fly by private floatplane to the headwaters of a glacial river and spend the day rafting down to Kachemak Bay. 2 person minimum. Gull Island and Kachemak Bay wildlife boat tour - A private tour for small groups only to observe and photograph wildlife such as whales, sea otters, seals, bald eagles, and sea lions. 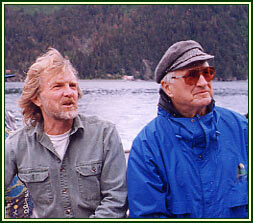 Options include a trip to Gull Island rookery, 60 foot Rock, Halibut Cove and it's galleries, a stop at Alaska's first and only floating espresso house, a day on the bay spotting wildlife, visiting with commercial fishermen when they are netting salmon, and exploring some of the protected coves, inlets, and bays of Kachemak Bay State Park. 2 person minimum, 6 person maximum. 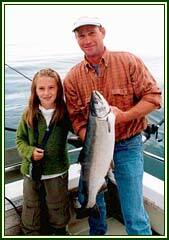 Full day Sailboat charters. 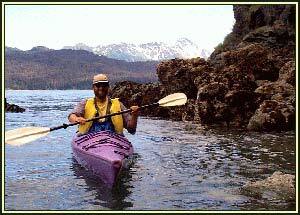 Explore Kachemak Bay State Park by sailboat. You will be picked up at the lodge in the morning for a glorious day on the water. Options for the day include fishing, wildlife viewing, exploring, sailing, dining, and acting as the crew for the boat's captain. Quotes available dependent on itinerary. Mountain biking. 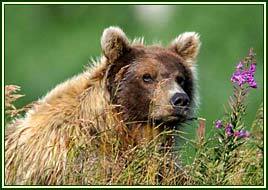 Spend the day exploring the back roads of our remote side of Kachemak Bay with seasoned guides. 2 person minimum. Unguided Mountain Biking is also available. Well, it sounds great! Tell me about the Iversons who built this wonderful place.